Chittorgarh is a beautiful city in the desert state of India- Rajasthan that is famous all around the world for having the largest fort. It is visited by lots of domestic as well as international tourists every year. Due to this reason to make your travel experience in this city easier, we are offering this Chittorgarh travel guide giving all round information about major tourist attractions like temples, palaces, forts and much more. Have a look at the below mentioned famous tourist places in Chittorgarh or places to visit in Chittorgarh that are must see places and form an integral part of Chittorgarh Tourism. Chittorgarh Fort is one largest fort in the whole world that is spread over the area of around 692 acres. It was built in the 7th century by the Mauryans and has various gates like Jodla Pol, Laxman Pol, Ganesh Pol, Hanuman Pol, Bhairon Pol, Padan Pol and Ram Pol. 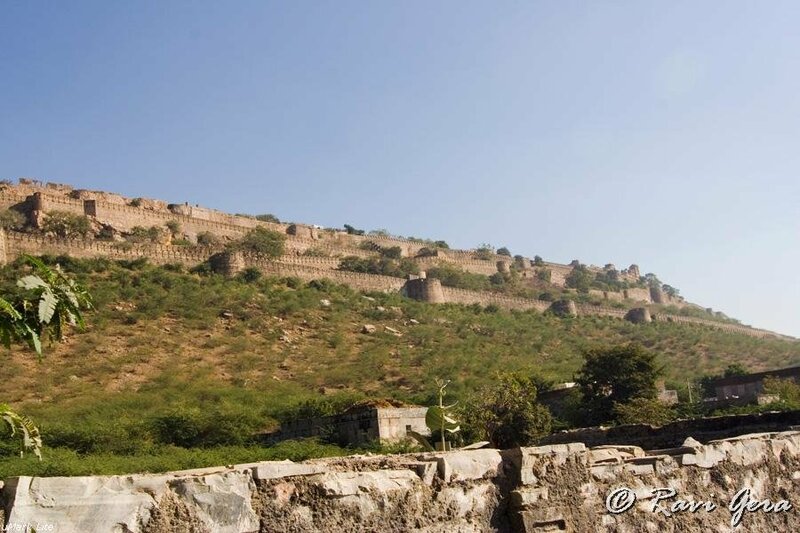 All these gates were constructed to give fortification and security to the fort and also has various palace’s like Rani Padmini’s Palace, Rana Kumbha Palace and others. It is a must visit tourist location in Chittorgarh. Rani Padmini’s Palace is located within the Chittorgarh Fort, which is more or less a ruined structure now. It stands in the middle of small lake. It has great artistry and architecture that is surely liked by every tourist coming to this palace. 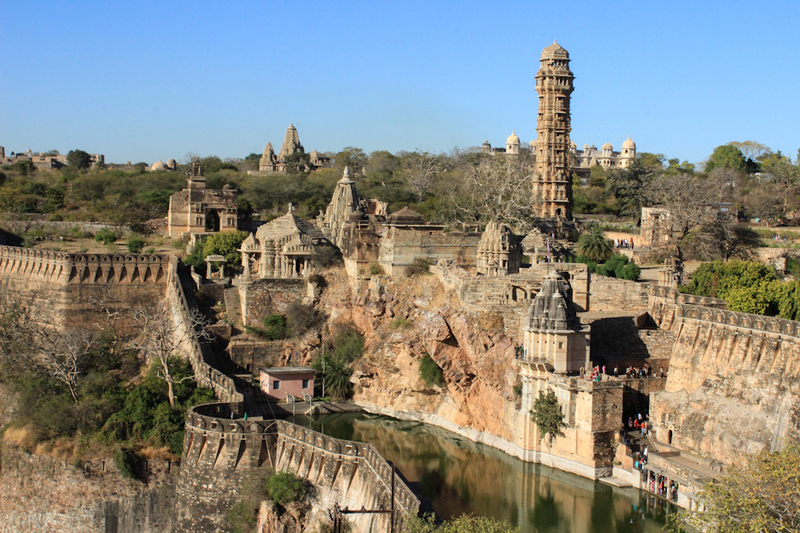 If you are visiting Chittorgarh then you must visit this beautiful palace. 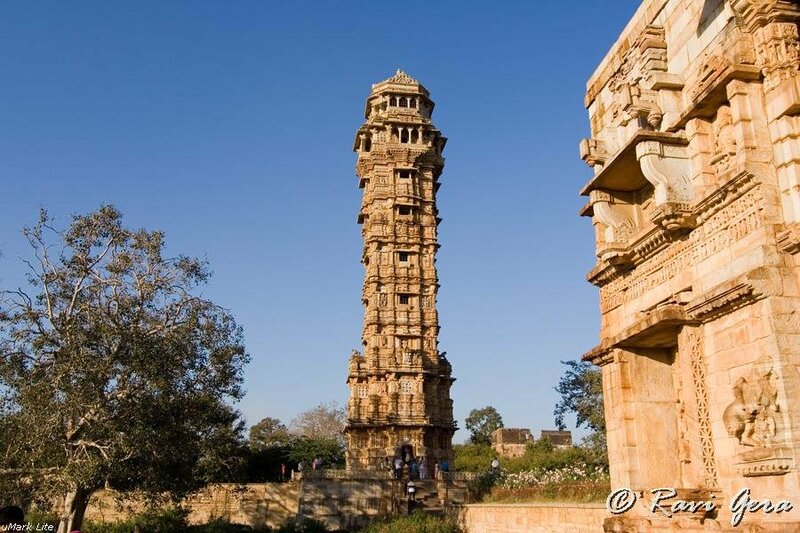 Vijay Stambh is also known as Victory Tower, which is situated inside the Chittorgarh Fort. It was built in between 142-1449 by Maharana Kumbha. This tower is the symbol of bravery of Rajputs and the wall is covered with designs of musical, instruments, weapons, images of Gods and Goddesses and architectural ornaments. The Intricate sculptures can be seen on the tower depicting the stories from Mahabharata and Ramayana. There is no availability of airport in Chittorgarh, you have to catch a train or bus from major cities like Jaipur, Kota, Bhilwara, Bundi and many more to reach this city. Chittorgarh is very well-connected by rail service with all the major cities in India like Delhi, Jaipur, Kota, Jhansi and many more that enables you reach this beautiful city very easily. To reach Chittorgarh, roadways is regarded as the most convenient option as this city is very well-connected with all the major cities in India like Delhi, Jaipur, Bundi, Bhilwara and many more. At thesame time, by hiring car for rental service allows you to the see all the major tourist attractions in and around Chittorgarh.